Business class flights to Adelaide are excellent value with us here at Just Fly Business. We love creating and maintaining long lasting relationships, and have a passion for creating memorable experiences. Your flights to Adelaide, airport transfers, hotels and car hire will all be sorted by your very own personal travel consultant. We work with all the major airlines and acknowledge your travel preferences to make sure your business flights to Adelaide are comfortable and cheaper than booking with the airline direct. With such a focus on local produce in this vibrant city’s restaurants, a trip to the Adelaide Central Markets is a must on any holiday to Adelaide. Located in the heart of the city and a stone’s throw from the premier restaurant district of Gouger Street, the market contains everything from fresh meats, seafood, and produce, to cheeses, olive oils, and pastries. Operating for over 140 years on Tuesdays to Saturdays, you can get involved with chef demonstrations, cooking classes, or even a cheese appreciation course. If a leisurely stroll through the vendors peaks the appetite, the many stylish cafes offer a place to rest and sample South Australia’s wares while listening to the hawkers trade. Insider’s Tip: For a fully immersive experience, book a breakfast or mid-morning tour through the stalls to meet the vendors, taste their produce, and revel in the sounds of this often crazy market. A short 25 minute vintage tram ride from Central Adelaide has you visiting the best beach in the city, Glenelg Beach. The white sandy beach is lined with charming heritage hotels and bustling boutique shops and cafes making a stunning place to visit in the afternoon as the sun slips below the waves. With life in this seaside village revolving around the water, it comes as no surprise to find excellent opportunities for deep sea fishing charters in the Southern Ocean, but also the chance to swim and snorkel with wild dolphins closer to shore. 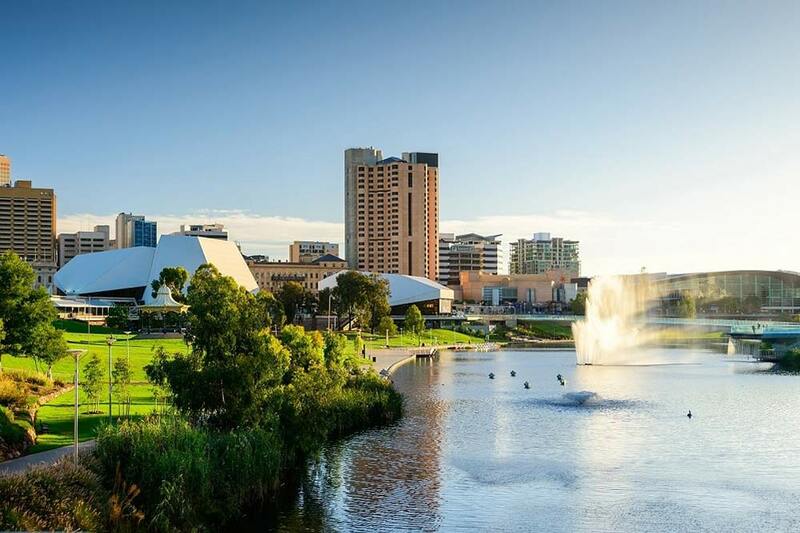 Adelaide is the only capital city in Australia that was purpose built rather than a convict settlement and therefore allowed city planners to create an easily navigable city centre. Surrounding the business and dining districts and major shopping precinct of Rundle Mall, lies the “Green Belt”, an open green space containing parklands, the Adelaide Zoo, and Adelaide Oval, the home of cricket in South Australia. 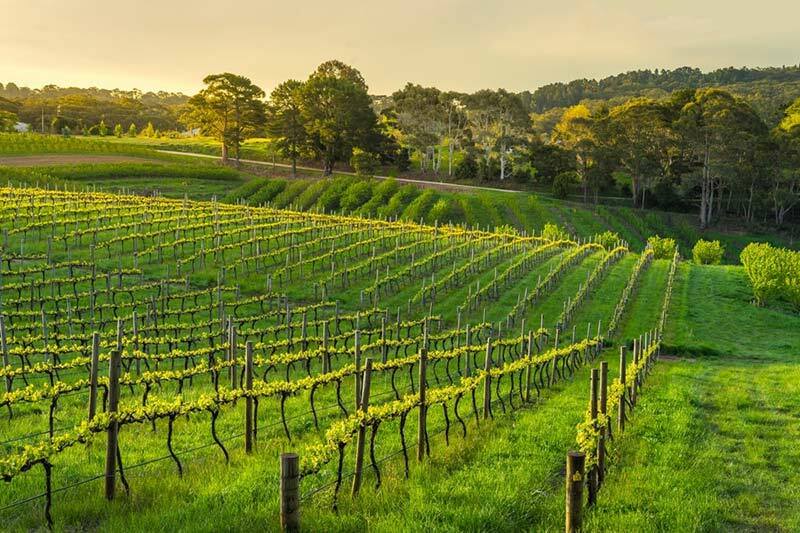 As one of Australia’s premier wine states, a short trip outside of the city will reward those inclined towards trying some of the country’s best vineyards. The closest region, the Maclaren Vale to the south of the capitol, has become synonymous with the Shiraz varietal but will suit any enthusiasts looking for robust red wines. Further afield, the Barossa Valley (Shiraz and Chardonnay), Eden Valley (Shiraz and Riesling), and the Clare Valley (Riesling and Chardonnay) to the north-east offer fantastic diversity to the state’s production, and the Coonawarra (Cabernet Sauvignon) and Limestone Coast to the south are world renowned for bold and challenging reds. Insider’s Tip: A lot of Australia’s premier wineries are located in these areas! Visit Penfolds or Henschke for two of Australia’s most discerning reds. Often said to be the best place to see Australia’s native animals in the wild, Kangaroo Island is the perfect day trip from Adelaide. Hire a car or take a tour from the city to Cape Jarvis to board the ferry across to this pristine paradise. Kangaroos, Koalas, Wallabies, Echidnas, Platypus, and Penguins all roam freely on Australia’s third largest island, and a colony of Australian Sea Lions at Seal Bay can give you another opportunity for an up-close experience. Insider’s Tip: Tours operate from Adelaide frequently and often provide a much better experience as the knowledgeable guides are often park rangers and conservationists that can guide you to the best locations for viewing Australia’s unique fauna. 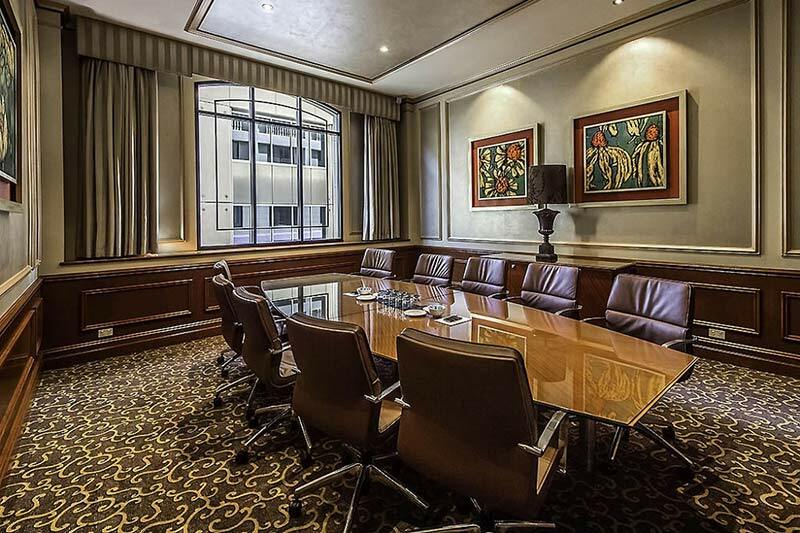 Located in the heart of Adelaide adjacent to the Convention Centre and the Adelaide Festival Centre, The Stamford Hotel offers interchangeable meeting spaces from elegant boardrooms to full large scale conference facilities. Each space is of an excellent standard with natural light highlighting spectacular attention to detail. Opposite the historic railway station and the Adelaide Convention Centre, The Playford Hotel combines world class facilities with leading technology to make your business flight to your meeting, conference, or launch a success. Secure parking, impeccable service, and outstanding catering has had this venue consistently voted one of the best in the city. Located just an hour south of Adelaide, Victor Harbour has been a family friendly holiday destination since the 1800’s. Whales migrate into the calm waters of Endeavour Bay between May and October making it one of the best places to view whales from the shore. Granite Island is joined to the mainland by a causeway with a horse-drawn tram shuttle, and remains an excellent example of coastal landscapes. With connections to all major Australian cities by air, Melbourne is the closest and offers visitors a wide breadth of experiences. Known as the “Sporting Capital of Australia” it is the perfect city to base a luxury holiday around the Australian Open Tennis, the Australian Formula One Grand Prix, or the Australian Football League (AFL) Grand Final. The Great Ocean Road between Adelaide and Melbourne is one of the best drives in the world, taking in dramatic coastal scenery, extinct volcanoes, and stunning mountains around the Grampians National Park. If time permits, this route is a must on any Australian holiday.